Celtic’s ambitions of a third successive Champions League campaign foundered as they crashed to a 2-0 defeat at Murrayfield. They never looked like turning around the 4-1 first-leg deficit. The Celtic defence seemed to part as Michal Zyro and Michal Kucharczyk sealed their fate. It is a crushing blow for Ronny Deila, whose predecessor Neil Lennon guided the club into the last 16 two years ago and into the group stage last season. Those two campaigns earned Celtic in the region of £33m in prize money alone. While they still have a chance of a Europa League run, the absence of Champions League football is a massive financial blow, to say nothing of the prestige that comes with playing in Europe’s premier competition. Standard Liege dumped Panathinaikos out of the Champions League courtesy of a 2-1 win at the Apostolos Nikolaidis stadium. Having played out a scoreless first leg, the hosts took a 10th minute lead courtesy of aDino Arslanagic own goal. However, efforts from Yanis Mbombo on 36 and Paul-Jose M’Poku on 41 ensured the Belgians progressed to the play-off round. 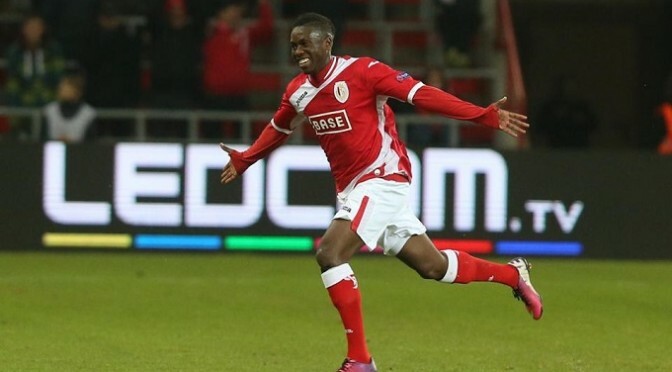 Lille overcame Grasshoppers 3-1 on aggregate to ensure their spot in the next round. Leading 2-0 from the first leg, the hosts took the lead on 19 minutes courtesy of a Florent Balmont strike but Grasshoppers were given hope when Amir Abrashi restored parity on the night with 33 minutes gone. However, any hopes of a dramatic turnaround were dealt a fatal blow when Daniel Pavlovicreceived a red card on 69 minutes. BATE Borisov beat Debrecen 3-1 to also progress to the play-off round courtesy of a 3-2 aggregate win. Debrecen, who led 1-0 from the first leg, took a two-goal aggregate advantage when Ibrahim Sidibe dispatched a 20th minute penalty. However, when Selim Bouadla was sent off for a second bookable offence in the 38th minute, the hosts capitalised almost immediately when Aleksandr Volodko levelled proceedings on the night with 39 minutes gone. Vitali Rodionov’s close range finish brought the tie to parity on 66 minutes before Sergei Krivetsâ€™ injury time header made sure of the win. Agim Ibraimi grabbed two goals as Maribor drew 2-2 against Maccabi Tel Aviv to progress 3-2 on aggegate. Maribor took a one-goal advantage from the first leg and looked sure to progress when Ibraimi fired them ahead on the night with 35 minutes gone. However, goals from Tal Ben Haim on 42 minutes and Eden Ben Basat on 53 brought Maccabi Tel Aviv level on aggregate. Ibraimi however restored the Slovenianâ€™s aggregate advantage almost immediately with a 54th minute strike.